It's very hard for me to find plain sweaters for my Dad so I'm glad I found this shop. 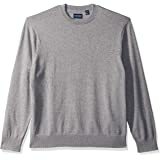 Easy layering and rich texture meet in this crewneck sweater with a soft cotton knit that provides comfort from work to after hours. My son was very happy with it. 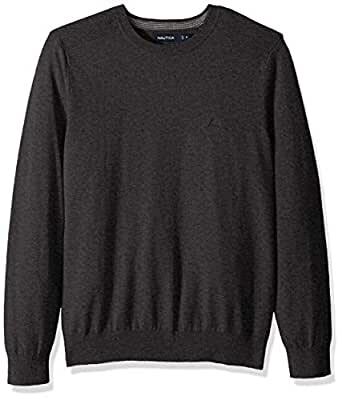 It's very hard for me to find plain sweaters for my Dad so I'm glad I found this shop. Thanks! Great price for a named brand Nautica product. Purchased in June 2017. Arrived promptly. Product has been worn about four times and today (10/16/17) the right underarm ripped out. So I wonder about the quality of the product. Really, after four wearings it rips out? !